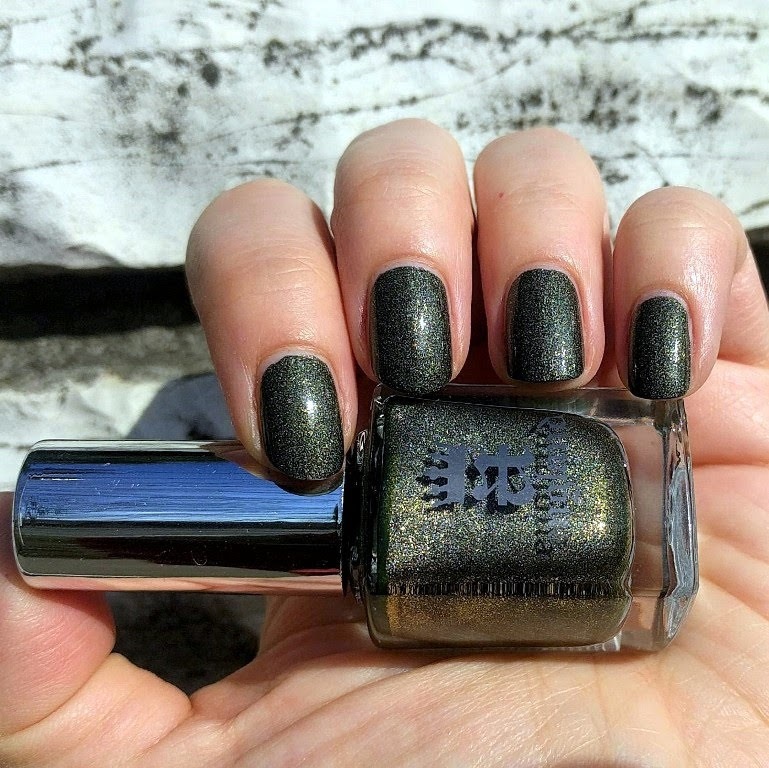 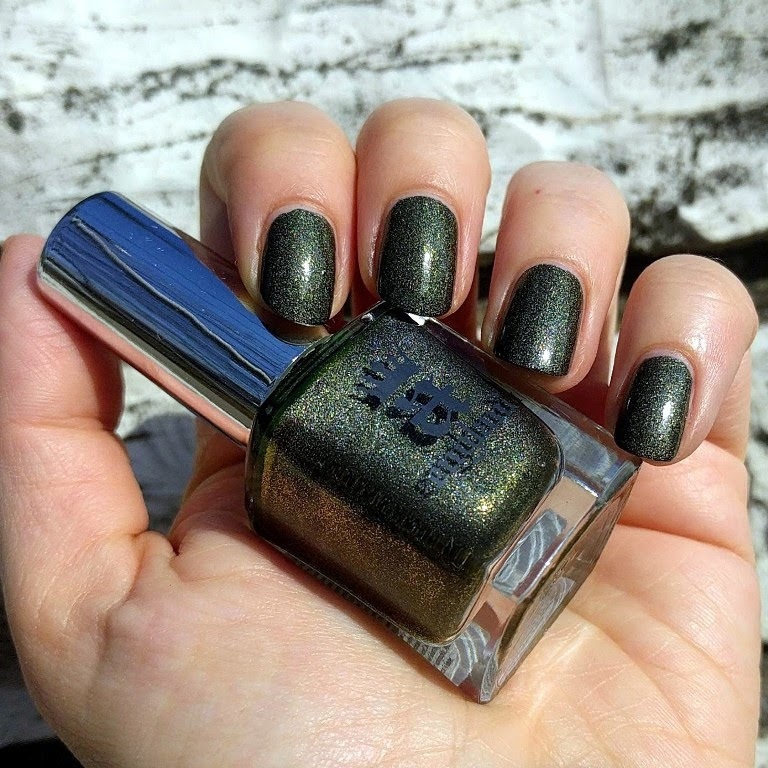 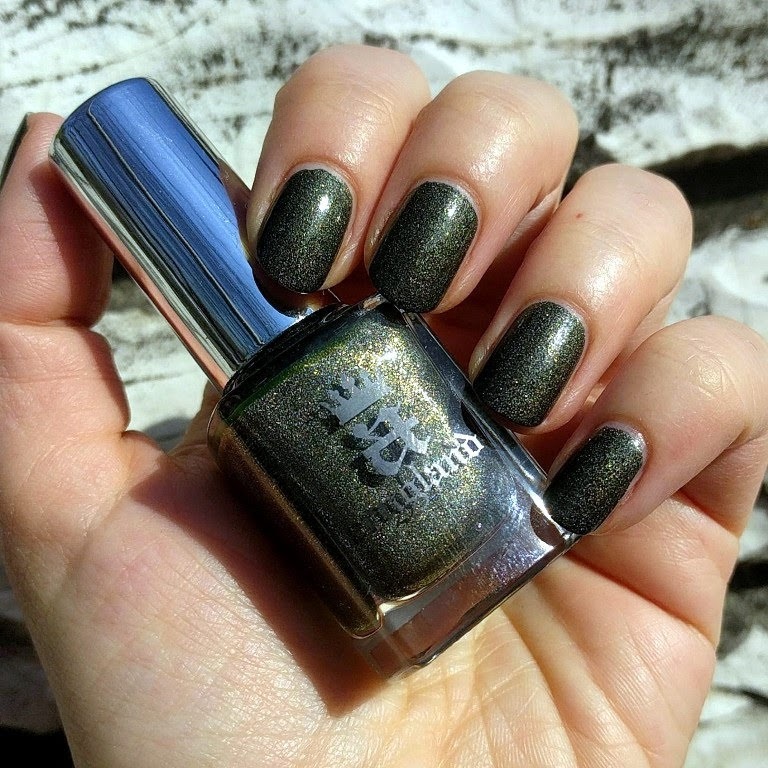 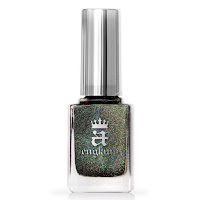 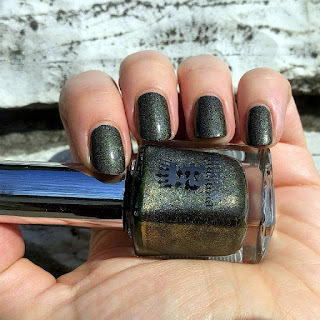 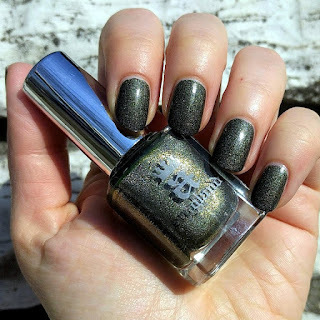 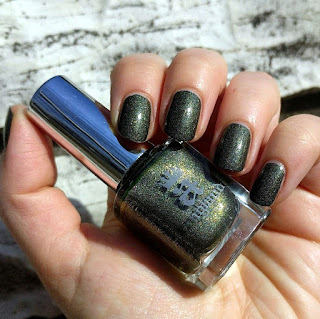 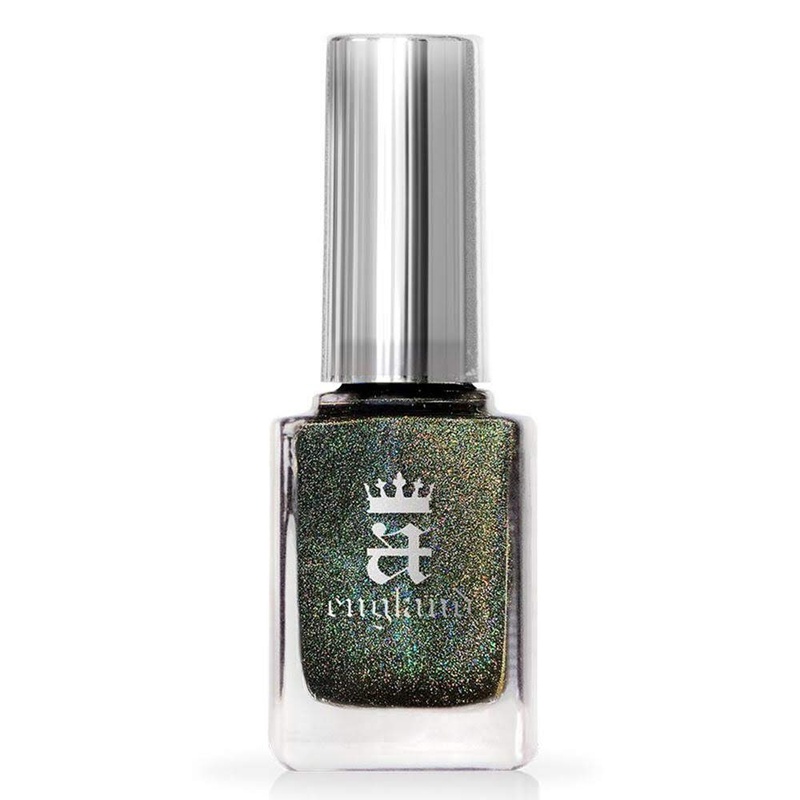 jane seymour is an absolutely gorgeous polish from a england's tudoresque collection in 2017.
in a england, they describe it as a "dark olive green scatter holo revealing at times an inner vibrant green fire and subtle grey hue complemented with golden shimmer", which is absolutely correct. i have a soft spot for green holos, and jane is like a mossy sister to dragon. as usual, the formula is amazing and practically flows. 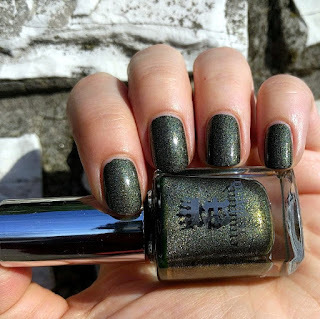 five stars from me.